For many video content creators, YouTube's Partner Program has made it possible for them to turn a hobby into a lucrative career. Anyone who builds a large enough audience can earn shared revenue from the advertisements that run on their videos. The more views your videos get, the more you earn. Of course, YouTube doesn't make it possible for just anyone with a channel to start earning money from ads on their videos. Here's what you need to know about the YouTube Partner Program and how you can increase your chances of being accepted if you decide to apply. What Is the YouTube Partner Program? Simply put, the YouTube Partner Program allows eligible YouTubers to monetize their video content by displaying advertisements. These advertisements might be in the form of preroll commercials that play before the video, a clickable banner that appears at the bottom of the video or a square ad that appears in the righthand column above other suggested videos. If your channel is eligible and accepted into the YouTube Partner Program, you can select the types of ads you want to display and the specific videos you do or don't want to be monetized through ads. 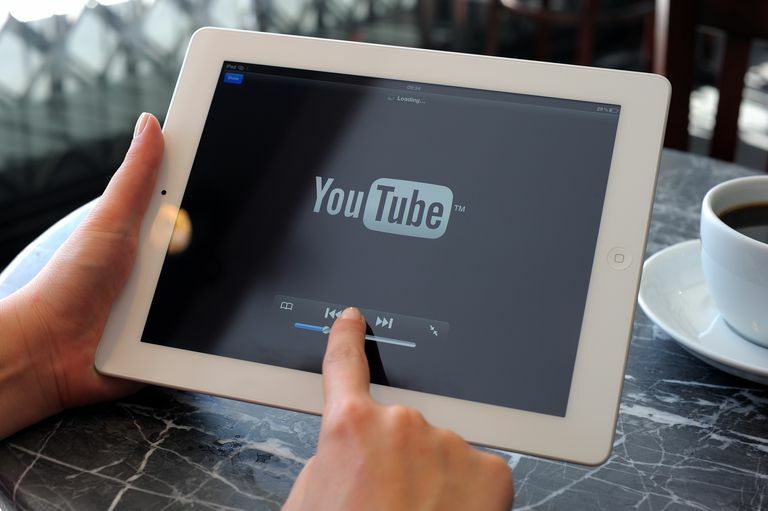 YouTube is owned by Google, so partners make money through the Google’s official advertising platform known as Google AdSense. When a viewer views a preroll ad or clicks on one of the clickable ads displayed on a Partner’s video, the Partner earns a small share of revenue. It is a few cents or a few dollars per click. Earnings will vary and depend on content and the amount that a particular AdSense advertiser is willing to bid on to get their ads showing. YouTube has updated its Partner Program eligibility requirements for 2018 to be stricter amidst concerns over ads showing up in inappropriate videos. Any YouTube user can apply for the Partner Program, but to be accepted, you must have clear evidence that you create original content on a regular basis, you own all the rights to that content and your videos are experiencing substantial growth in popularity. Watch hours can be checked by accessing the Creator Studio from your channel and heading to your Analytics tab. Once you apply to the YouTube Partner Program, your channel activity will be reviewed to ensure that your content complies with the program's policies, terms of service and community guidelines. You can begin the application process here. If approved, YouTube will notify you. The entire review process might take several weeks, however you can check the status of your application by going to Creator Studio > Channel >Monetization. There is absolutely no shortcut to being accepted into the YouTube Partner Program. When it comes straight down to it, it's up to you to put in the time and effort to create great content and promote your content using non-spammy methods. There are some people offering gimmicks and scams that promise to get you more views and more subscribers on YouTube, but don't fall for these. YouTube frowns upon software that inflates video views and users that participate in “sub 4 sub,” (subscribing to other users just to get them to subscribe back). Even if you do get accepted, it will take even more time and effort to grow your revenue in order to earn anything substantial. In the beginning, most partners only earn peanuts. Your goal should be to grow your channel and gain a real audience. Some Partners say that planning out your content strategy is a good idea while others say that you just need to get started by just doing it and learning along the way. A mix of both strategies is probably ideal since a plan can help you stay consistent and focused on your goal while remaining open to experimentation will ensure that you'll evolve and grow in the best way possible. Are you a musician? An aspiring director? A video blogger? A graphic designer? Themes are always good when starting a YouTube channel. It paints a clear picture in the viewer’s mind of what you’re all about and what you’re trying to accomplish. Stick with consistency in style and editing. You'll also want to be as consistent as possible with uploading videos. If you plan on uploading a new video once a week on Saturdays, stick with it. The YouTube community loves consistency and will learn to expect new videos from you according to the upload schedule that you keep. When you upload a video on YouTube, you'll increase your likelihood of showing up in search results by using good keywords in the title, description and tags. Before you upload, create a list of keywords you think are related to your video and any keywords or phrases related to what your target audience might be searching for. You can also design your own YouTube video thumbnail to make your videos more visually appealing and thus more likely to be clicked on and watched. YouTube is technically a social network, so you should certainly pay attention to your viewers' activity—including everything from your videos with the most views, to the thumbs up/thumbs down count that each video receives. One of the best ways to engage with your audience is by asking your viewers questions about your content and telling them to leave their answer in the comments. You might get a few useless troll comments, but those who care about your content and want to see more will leave you feedback that might prove to be extremely valuable to you and your video content creation strategy. Believe it or not, networking can make all the difference. This doesn’t mean a “sub 4 sub” scheme. This means hard work connecting with other content creators and promoting each other’s content through likes, comments and even starring in one another’s videos. If you follow any of the big YouTubers, you know that almost all of them network with each other, which is how they tend to attract more subscribers.​ Even if you’re not in the big leagues yet, you can still do well by making it a point to interact often with other YouTubers that you admire. Vimeo or YouTube, Which Is the Best Site for Video Sharing?